Magnetic Mic - MOOSE SAFETY SUPPLY, INC. 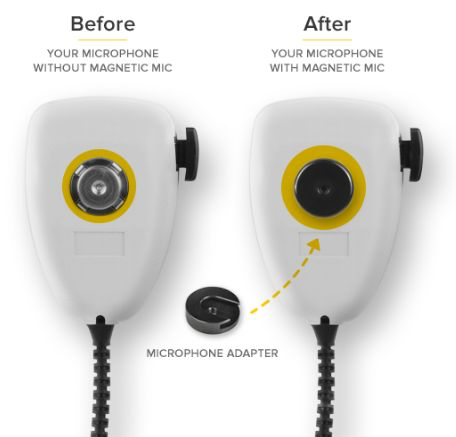 Magnetic Mic’s microphone adapter is precisely engineered and expertly machined. This slotted metal disc easily fits over and securely locks onto the back of your existing microphone. Works with all hand-held microphones including those with scanning functions! ​The magnetic base replaces the conventional metal hang-up mic clip used with most CB and police radio microphones. With its sleek unibody construction, there are no sharp edges for the user to worry about. 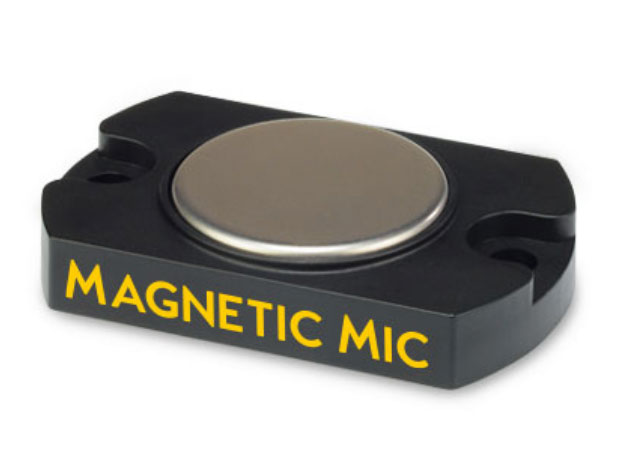 Constructed from aerospace grade materials, Magnetic Mic is incredibly durable and ready for years of use.